The David Barton Labyrinth and Reflective Garden is located just west of Maria Avenue and East Seventh Street on the Metropolitan State University campus. The community connection with the university began in the 1980’s when it chose the Dayton’s Bluff site for its new headquarters. The institution operated for several years in the old St. John’s Hospital structures, but there were plans for further remodeling and construction. Ground was broken in 1991 for a new thirteen million dollar headquarters that was put up where the original hospital building had been, and the first phase of the project was officially opened in 1994. Metropolitan State was again linked with the neighborhood in 2004 when its new library was collocated with a long-awaited St. Paul Dayton’s Bluff branch library. David Barton headed the Metropolitan State University Library from 2002 until his death in 2012. He was integral to the creation of the Library and Learning Center and served as its first Dean. 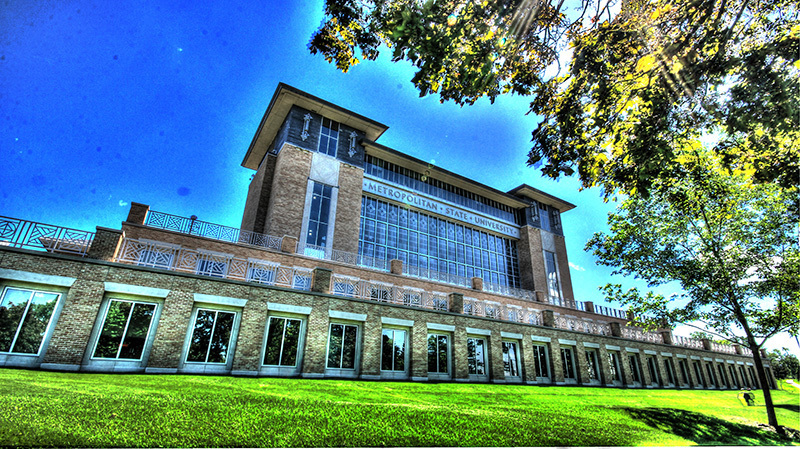 His legacy can be found in the design of the library building and in the unique programs and partnerships that placed it at the center of much of what happens within the university and the community. 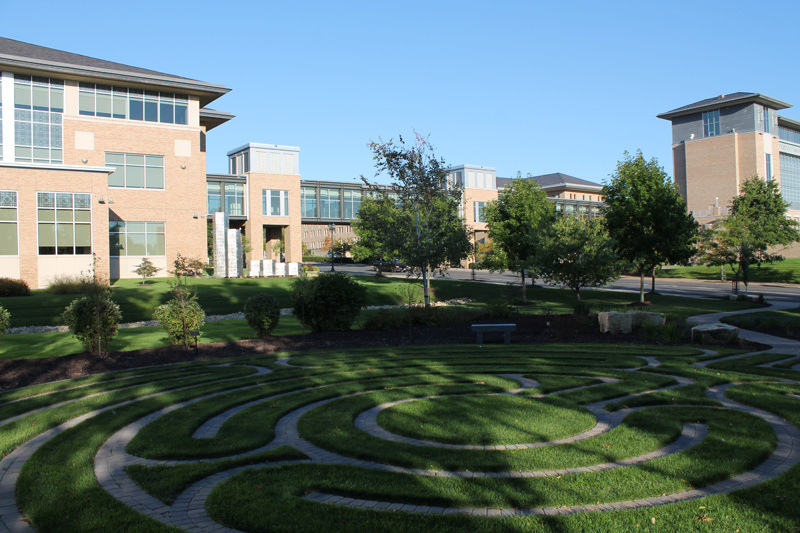 Because he was an avid gardener, staff and faculty decided that the best way to honor Barton was to build a labyrinth surrounded by a reflective garden. The project, which was funded through private donations, was built in two phases. The first phase-installing the labyrinth-was completed in 2013. “This labyrinth offers a safe walking path, a peaceful oasis for reflection and relaxation,” said a university representative,” and “it’s a place where neighbors of all ages, students, staff, and faculty can come together.” It is called The Paths of Peace Labyrinth, it was designed by Stillwater resident Lisa Moriarty. The second phase, planting the reflective gardens that will surround the labyrinth, were planned to be finished in 2014. Labyrinths have been used for centuries by many different cultures as places of reflection and meditation. While there is no "right way" to walk a labyrinth, there is usually an entrance and path that leads walkers to the center. Then they typically exit at the same spot they went in. The entrance to the Metropolitan State University labyrinth faces 7th street, and the path itself is made of grass lined with bricks. And yes, you are supposed to walk on the grass. 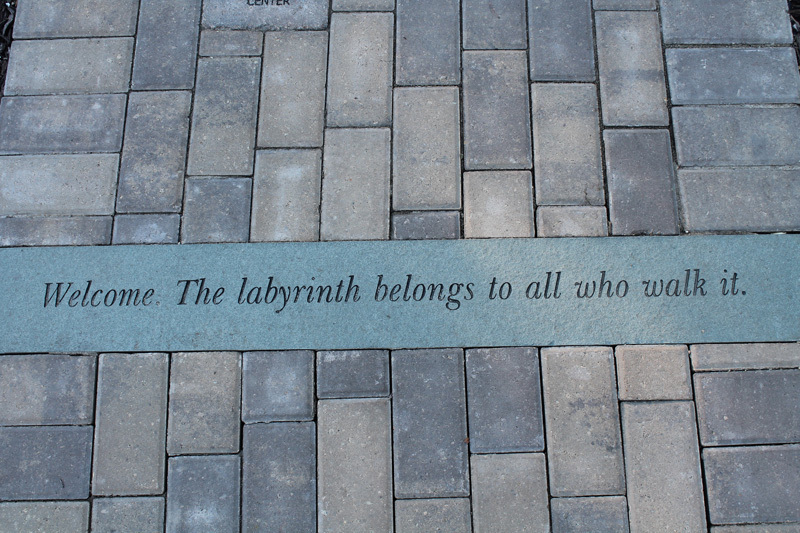 Steve Trimble, “Visit a Community Labyrinth,” Saint Paul Historical, accessed April 21, 2019, https://saintpaulhistorical.com/items/show/249. For more information and photographs of the Paths of Peace labyrinth and reflective garden, visit the Metropolitan State University Website or the Labyrinth Flickr page.